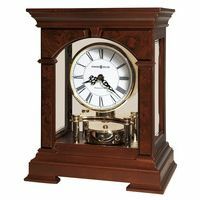 Kieninger design: Sophisticated mantel clock in antique walnut finish with a completely round base shape. 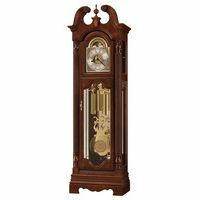 A curved bevelled front glas which can be opened by turning it around the clock and the dome glas top allow a view of the polished 9 nested bells chimes, open silver plated roman dial ring 200 mm shows the clock movement, hand-milled Breguet-style hands. 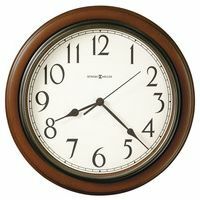 1/4 key wind movement with escapement (11 jewels), triple chime (Westminster, St. Michael & Whittington) on 9-bells chime.